Under the aegis of the National Geographic Society, Paul Salopek, a two-time Pulitzer-winner, has been walking the migratory path of early man. Paul entered India, through Wagah, February 27, 2018 and has since walked through Punjab and Rajasthan, Madhya Pradesh, and now in South India. The India leg of his walk ends in December this year, when he exits into Bangladesh, then China, via West Bengal. 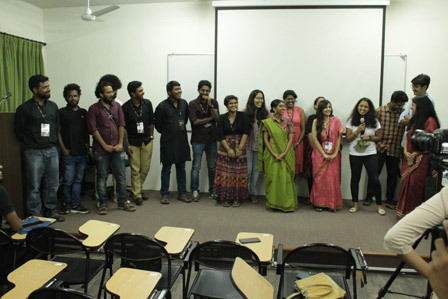 On the sidelines of his walk, NGS organised a series of two workshops, for ACJ students between September 4 and 15, 2018, on the art and craft of immersive, narrative journalism and on photojournalism. 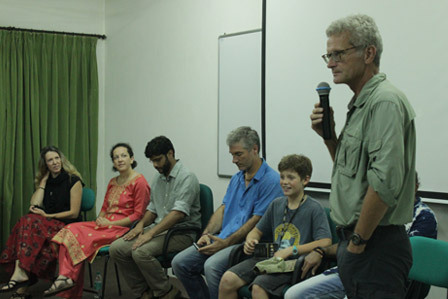 The National Geographic Slow Journalism workshop was a four-day affair held at the ACJ. Inspired by Paul Salopek’s ‘Out of Eden’ walk project, the workshop emphasized the ideals of slowing down, observing, and being committed to boot-level, immersive storytelling. 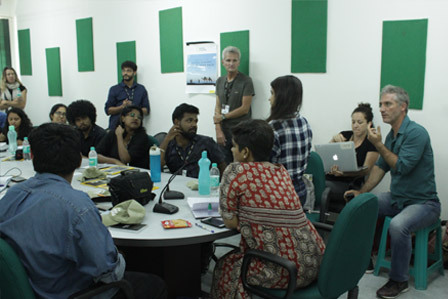 This workshop was carried out with a mix of class lessons and practical work, by faculty comprising Paul Salopek, Arati Kumar-Rao, Prem Panicker, and Don Belt, who facilitated discussion and feedback to the journalists. This was a golden opportunity for students of ACJ to spend time with, and learn from, experienced professionals. The slow photojournalism workshop, conducted by National Geographic, was a journey full of excitement and learning. Aspiring photographers wait for opportunities like these all their lives. The participants were from in and around Chennai. The workshop went on for 6 days, with photographers initially going into the field for their stories, and photographing and interviewing people for hours together. Some had to arrange translators in order to get over the language barrier. Mentors also took up the challenge and went to the field to help the photographers improve their skills. This opportunity was most valuable to all the participants of the workshop.